Two Co Kildare charities will share almost €1m donated by golfer Rory McIlroy following the Dubai Duty Free Irish Open at the K Club. 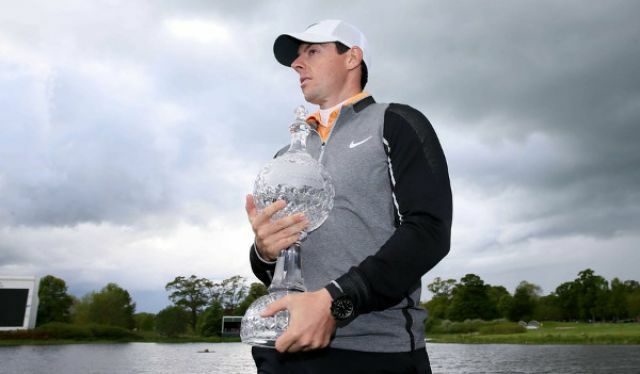 McIlroy's charity, The Rory Foundation raised a total of €951,000 for Barretstown and Jack & Jill Foundation. Dublin-based LauraLynn Children’s Hospice also benefitted. Each charity will receive €317,000 to go towards specific projects. Barretstown said it will direct their funding towards a new dining hall at their Naas campus. The Jack and Jill Foundation’s donation will go towards more than 19,800 hours of home nursing care and LauraLynn Children’s Hospice will have enough money to provide two Clinical Nurse Specialist Salaries, auxiliary expenses and administration for over two years. McIlroy said: “While winning the Irish Open this year meant a lot to me, being able to give my prize money to three local children’s charities made it all feel much more special. "I can think of no charities as worthy or deserving of support than Barretstown, the Jack & Jill Foundation and LauraLynn Children’s Hospice. CEO of Barretstown Dee Ahearne said: “Barretstown is absolutely thrilled with the amazing amount being donated by the Rory Foundation from the Irish Open. On behalf of those children and their families, we would like to say a huge Barretstown ‘Thank You’ to Rory and all the team in the Foundation whose hard work behind the scenes made the Irish Open and the other events surrounding it such a success. Tickets for the Dubai Duty Free Irish Open 2017 are on sale now from www.dubaidutyfreeirishopen.com. The event will take place at Portstewart Golf Club from the 6th to the 9th of July and a percentage of ticket sales will go to the Rory Foundation.